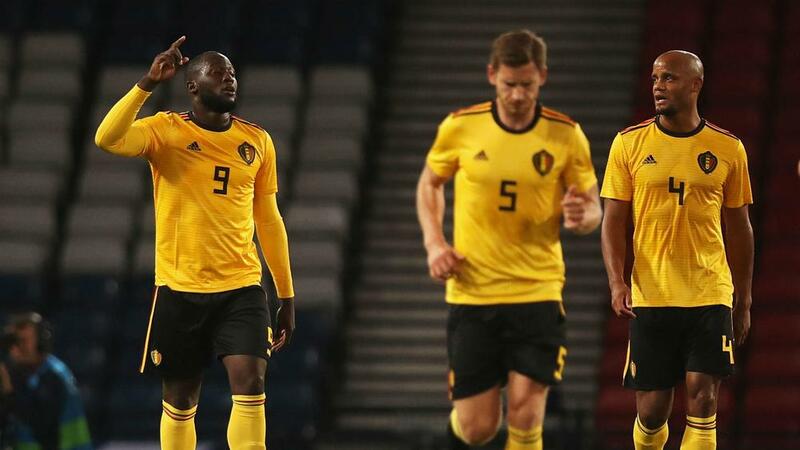 Romelu Lukaku was on target twice as Belgium cruised to a 3-0 win over Iceland in the World Cup semi-finalist's Nations League opener. Roberto Martinez's side might have been worried for a time early in the first half as it was kept at bay in the League A encounter, but Eden Hazard's opener from the penalty spot was followed by a Lukaku strike just 121 seconds later. While Belgium was not wholly convincing, its lead never looked threatened and it spent the second half on the front foot, chasing a further goal that eventually arrived through Lukaku again. Even at three goals down, Iceland was able to retain at least some respectability in response to a weekend showing when Group 2 rival Switzerland ran out 6-0 winner with embarrassing ease. Iceland made the early running, perhaps keen to atone for Sunday's (AEST) humbling, but the visitor slowly turned the screw and opened the scoring from the spot with its first real opening, Hazard converting after Sverrir Ingi Ingason tangled with Lukaku. Belgium quickly doubled its advantage. Hannes Thor Halldorsson parried Vincent Kompany's header, but Lukaku prodded the rebound just over the line for a second goal in three minutes. The host came out rejuvenated at the start of the second half but, once again, it did not last and Thomas Meunier should have added a third when he turned Hazard's pinpoint cross wide. The same man struck the foot of the post shortly afterwards. Gylfi Sigurdsson belatedly stung the palms of Thibaut Courtois with Iceland's first effort of note, yet there never appeared a real danger of Belgium ceding its comfortable advantage and Lukaku beat Ingason to a low cross to net the third.